Fans are going gaga over David Warner blitz, they feel he could get to a ton. 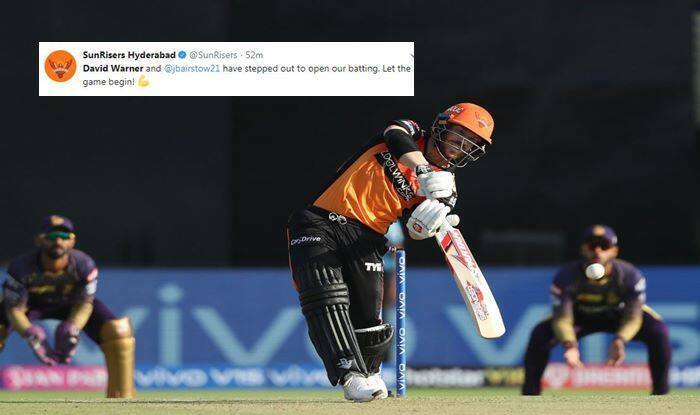 David Warner made a sparkling comeback to Indian T20 League as he smashed a 31-ball 50 against Kolkata at Eden Gardens. Warner was in sublime touch right from the moment they were asked to bat by Kolkata. Warner also becomes the player with most 50+ scores in Indian T20 League history. He now has 40 half-centuries in the league. Warner looked good against pace as well as the spin of Narine and Kuldeep. His knock has got his fans excited who have hailed him on social media. Meanwhile, Piyush Chawla finally gave KKR the break they were after he got Bairstow for 39 off 35 balls. Hyderabad is 118/1 in 13 overs. Warner is on 74 and looking good for a century.